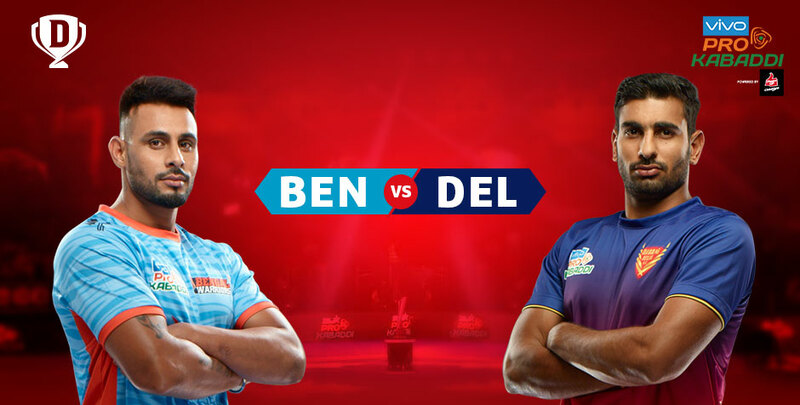 The Bengal Warriors vs Dabang Delhi matchup is an awaited event in the Kabaddi match as well as an interesting clash of fan bases. The north and the east come together to battle for the prestigious PKL title. But this certainly means more than just a trophy, the simple win over the other provides contention for fan bragging rights. The Bengal Warriors team lead by Surjeet Singh has had a brilliant start to the 2018 title campaign. The 2017 form has carried over to season six and this is adding up to the scores of the team. The team is a well-balanced unit of veteran athletes and talented youngsters. On the other hand, players like Ran Singh, Mahesh Goud, and Jang Kun Lee are expected to be the highlights during Bengal Warriors vs Dabang Delhi matches. The Dabang Delhi team has retained its key players and brought in some new talents. Raider Meraj Sheykh was retained for his exceptional raiding capabilities and the signing of Rajesh Narwal strengthens the team’s all-rounder department. The Bengal Warriors vs Dabang Delhi score will be dictated more by raid points as both teams have highly successful raiders and a moderated defence setup. Both Dabang Delhi and Bengal Warriors have been part of the PKL since 2014. Dabang Delhi has the best finish of 5th in season one while the Bengal Warriors has the best finish in season three at the fourth place. Joginder Singh Narwal will lead team Delhi for season six and his versatile experience in the sport will contribute majorly to the team’s success. Whereas, the Bengal Warriors shall be lead by PO Surjeet Singh, who was also a part of the 2016 Kabaddi World Cup winning Indian team. In season six, team Dabang Delhi features a balanced mix of raiders, all-rounders and defenders as compared to the raider heavy Bengal Warrior squad. Jang Kun Lee from Bengal Warriors can be a game changer for his team during Bengal Warriors vs Dabang Delhi matches. His supreme raiding abilities will have to be spot on to ensure a balance on the scoreboard. Whereas, the Delhi team shall be looking upto their Iranian teammate Meraj Sheykh who is one of the finest all-rounders in PKL. Bengal Warriors Raider Mahesh Goud’s contributions will assist the team manifold to steer this Bengal Warriors vs Dabang Delhi matches towards their victory. Within Dabang Delhi, Raider Naveen Kumar is expected to make waves at the mat. Watch out for Maninder Singh as he continues with his dazzling form. His skill on the mat and ability to heavily contribute to the team score make him an important member of the squad. Chandan Ranjit and Naveen Kumar are expected to be the highlights in the Dabang Delhi team. Get rewarded for your sports strategy skills, log on to the official Dream11 website or the Dream11 mobile app to experience the sport as a team owner. If you’ve got a keen eye for performers, pick out your top defenders, all-rounder and raiders before every match and duel with the best sports minds of the nation. Level up your skills by participating in the contests and mega contests to sharpen your skills and challenge your abilities. Play solo or invite your friends to a friendly contest, create your team and hope for the Bengal Warriors vs Dabang Delhi result of your prediction. So in short, get started with Dream11 today!